According to Construction Dive, the industry is no longer dominated by design-bid-build and integrative and collaborative approaches for design-build, as well as public-private partnerships, are expected to continue gaining traction. The market is experiencing a labor shortage and lack of skills that could help explain the growing popularity of this trend, as more companies begin looking to third parties for support. One way you can stay ahead of the curve is to consider solutions and technology that enables more efficient collaboration, such as digital whiteboards, telepresence robots, document management systems with secure sharing capabilities, and conference room scheduling apps. "More construction companies will leverage the Internet of Things for improved insight and efficiency." Internet-of-Things devices and robotic automation have been anticipated disrupters to the workforce for quite sometime. The roles these digital technologies play in the construction realm aren't too unlike the tasks they perform in warehousing and other industrial applications, such as for equipment tracking and drone surveying. As more construction and property management companies utilize tools for data collection and aggregation, they will need the resources that allow them to interpret it and translate it in meaningful ways for better (and more actionable) business intelligence. For more information on how your organization can leverage IoT, as well as why it's important to at least consider its potential impact on your industry and technology strategy, you can also check out this article: Why DC SMBs Need an Internet-of-Things (IoT) Strategy. 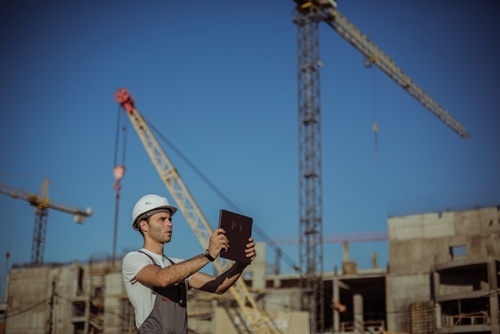 With a greater focus being placed on collaborative methods moving forward, virtual and augmented reality technologies (often referred to as VR and AR, respectively) provide construction, property and project management teams with tools that can facilitate better communication and planning, which can improve the safety of job sites and minimize costly errors. Furthermore, the construction and commercial real estate fields are in a particularly interesting position to pioneer new ways to leverage VR and AR in day-to-day business operations. For example, design concepts could be mocked up, allowing clients to virtually experience proposed construction plans in full-scale, perhaps even enabling people to travel between different spaces within the proposed project and more. With life-sized impact, you'd be hard-pressed to find a more compelling way to pitch pre-construction plans and designs. While this would require some investments in new technologies and expertise, the payoff in terms of competitive edge could more than account for positive ROI, especially for early adopters. Another virtual technology posed to create a transformative shift in the construction and property management market is the rise of telepresence and automated receptionist systems. These systems can include software, hardware and/or a combination of the two, such as the Alice Receptionist from Konica Minolta, can help streamline both managerial and administrative functions. From greeting visitors who enter an office and alerting employees of the guests' arrival, to monitoring and managing several locations at once, virtual receptionist systems allow construction, site and property managers to more efficiently and effectively oversee and connect to multiple locations at once, regardless of where they are. 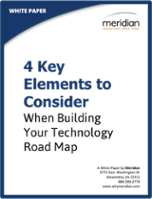 What technology trends have caught your eye in the construction, real estate and property management markets? Did I miss any important topics? Please feel free to comment below with your thoughts, or reach out via LinkedIn to discuss further. I'd love to hear your thoughts and opinions! * Editor's note: The photo showing Alice Virtual Receptionist was taken by a blog contributor who recently built and financed a home with the company depicted, and who was excited to notice the business they were working with for that transaction used this technology. We do not claim any affiliation with PulteGroup, PulteMortgage, PGPTitle or any other related entities.